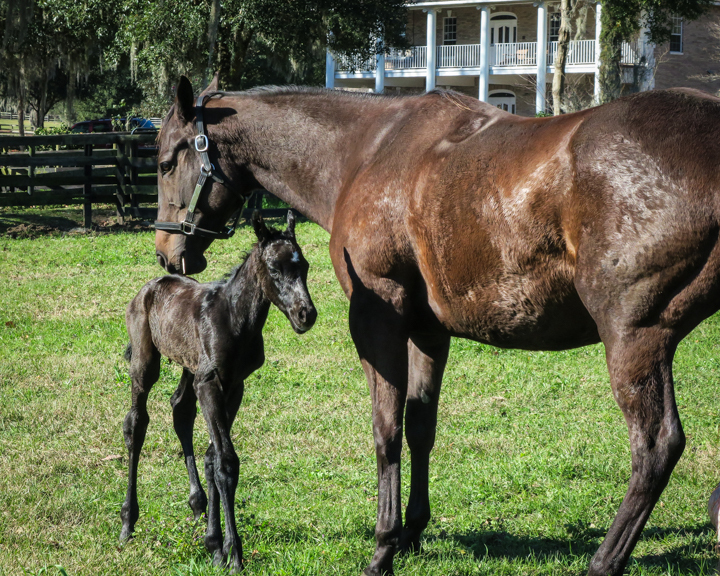 I’m a city girl temporarily living on a thoroughbred horse farm in Ocala, Florida. That’s about a 180 degree flip, but the change has become a blessing. Bucolic pastures of grazing horses now surround me; most with pregnant mares as it is late winter/early spring. I awaken to the sounds of a rooster crowing, hens clucking, horses neighing and dogs barking. When I walk out my apartment door or return to open the car door, five dogs welcome me. I’ve never felt such a loving atmosphere. A rooster awakens me on the farm. I see firsthand the ongoing duties necessary to keep the Broken Back Farm thriving. Here, all creatures are treated with meticulous care and sincere respect. 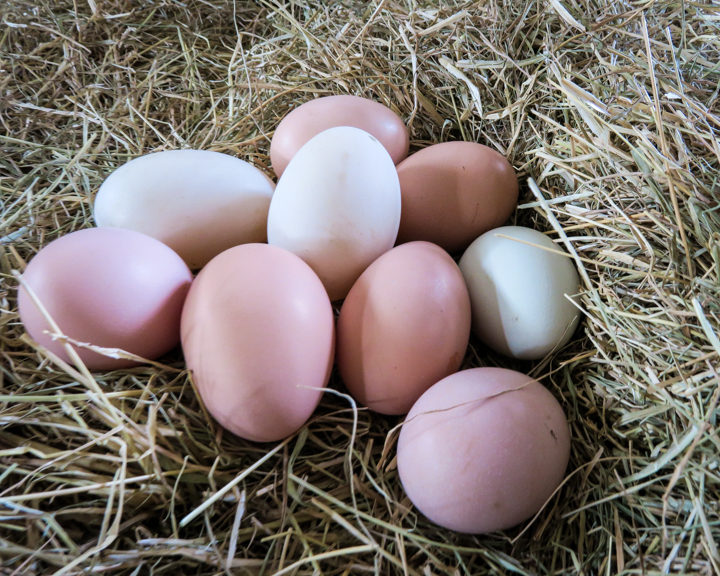 One recent morning while preparing a quiche with farm fresh eggs, I received a call saying a mare was about to foal!! 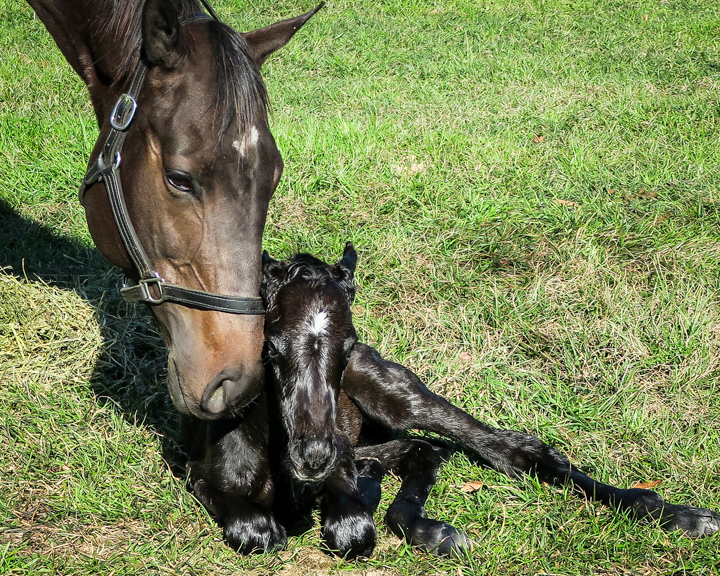 A foaling is an event I’d been waiting for, and could hardly believe it was happening. 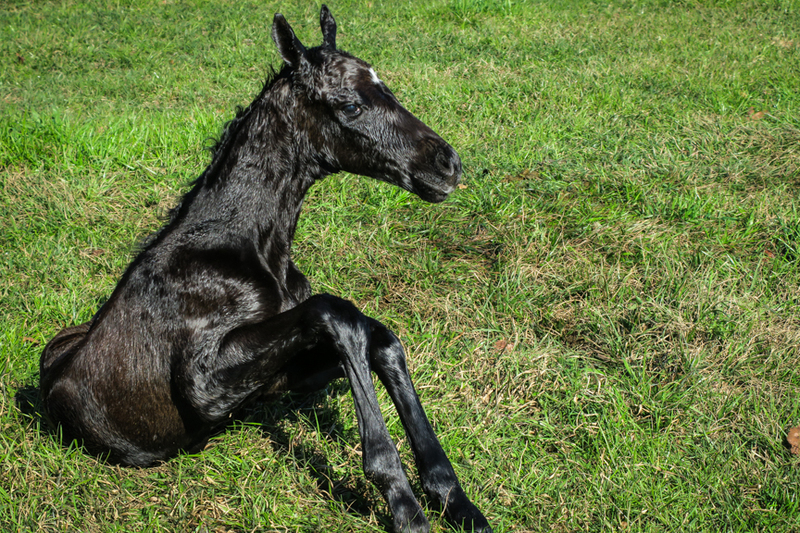 Horses rarely give birth during the day, almost always at night. Forget the quiche, lickety split I ran into the field with my camera. How fortuitous for me, I happened to have my camera in the kitchen because I was taking photos for my food blog. As I approached the field, I stared, practically without blinking, as a new life revealed itself in front of my eyes. No words can describe the wonder I saw and felt. I was awestruck by nature’s power and the never ending Circle of Life. Fortunately, I remembered to shoot photos. The size of the newborn shook me. 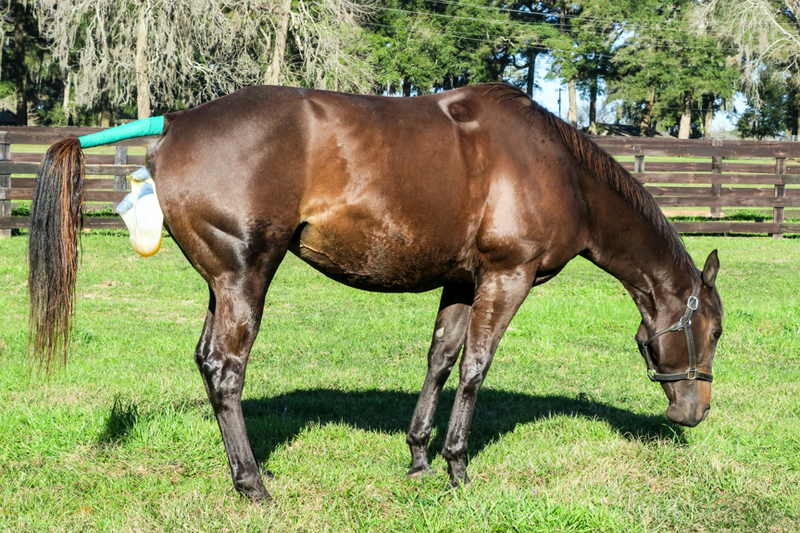 How such a large foal grew within that mare’s belly is beyond understanding. I realized I was extremely lucky a to have witnessed this birth. The mare was standing with a white bag protruding below her tail when I arrived; however, she soon lowered her body to the ground. Her breathing was noticeably heavy, but she did not seem in pain. Birthing happens quickly. 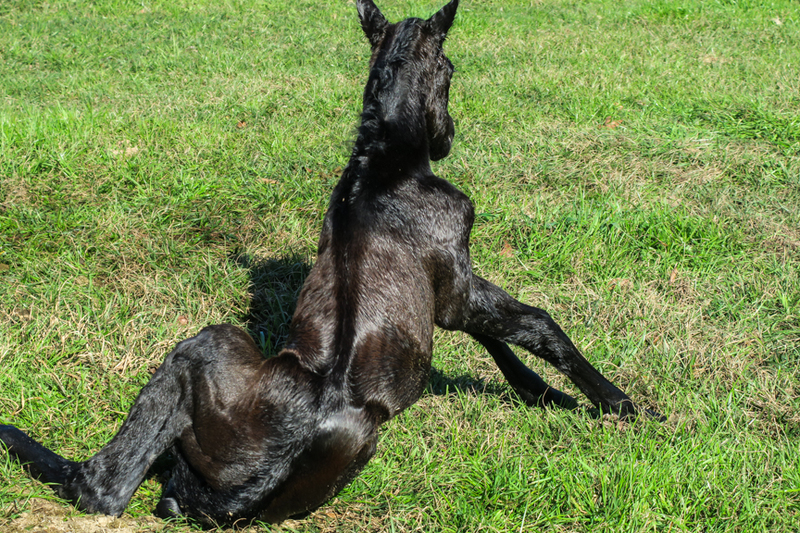 Horses only need a few contractions to push their baby out and the act takes only about ten minutes. 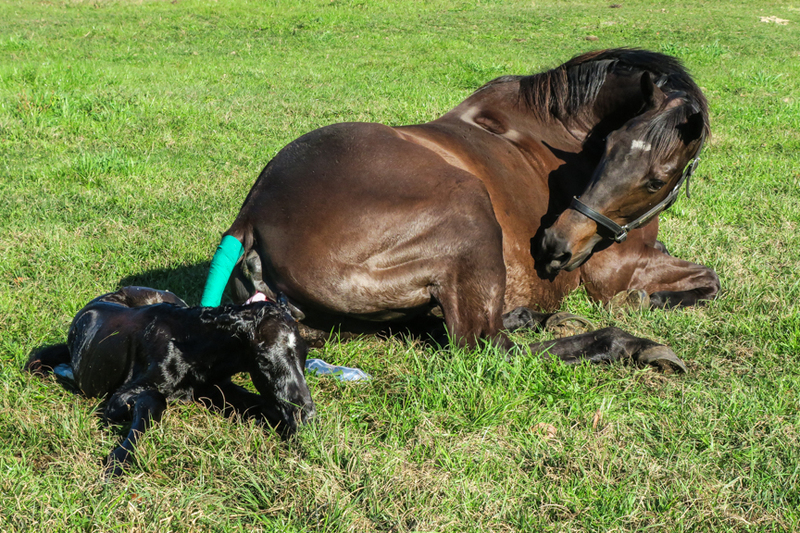 Genaro, the farm manager, held the descending foal just above the ankles, not pulling, just holding the progress of the birth in place. He cut open the sac when the first front hoof, nose and other hoof appeared. He pushed on the foal’s nose, squeezing out liquid. He checked to see if the foal was breathing. The birth of a colt. Once the shoulders were delivered, the hardest part of the delivery was over. “It’s a colt,” was announced. 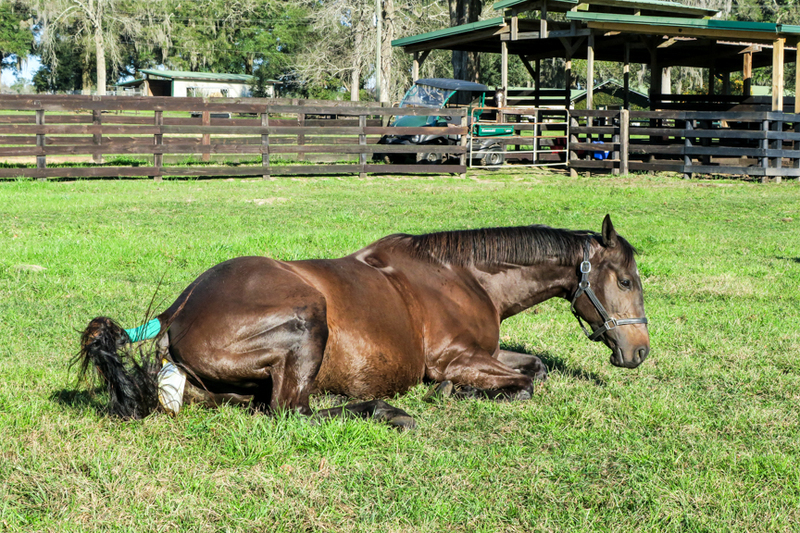 Genaro hovered nearby to keep the mare and baby calm and let nature take charge. 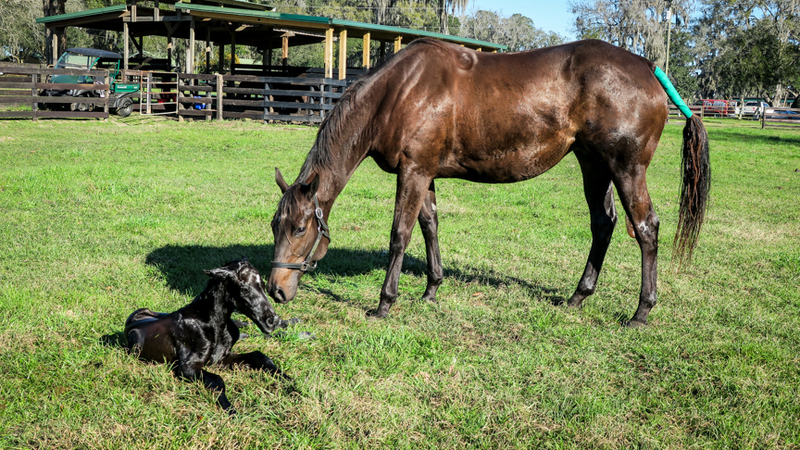 Mare sees her foal for the first time. The mother looked and sniffed at her offspring. She raised herself back to standing position. 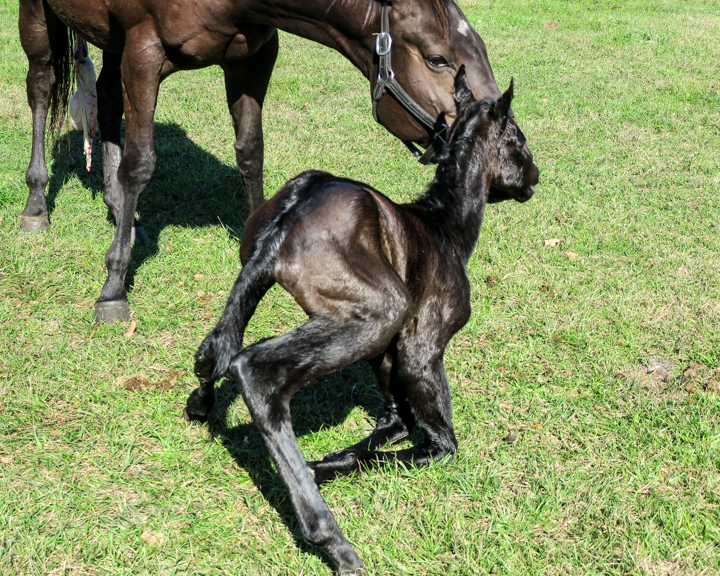 The umbilical cord broke on its own when the foal began moving about. It’s hard to believe a newborn wants to stand, but this guy did. His efforts produced some adorable antics and his wobbly legs made me laugh. I wanted to run over and help the little fella. He tried numerous times, and with each attempt he grew stronger. Once he was nearly up, Genaro helped steady him, and then let go. The mare stayed close instinctively knowing what to do. They looked so beautiful together. The colt was given a shot of Exede, a general antibiotic, and the mare a painkiller and a little something to calm her behavior. She was a first time mother. Before long the little colt was walking around his mother searching for milk, but she wasn’t exactly sure of the process. 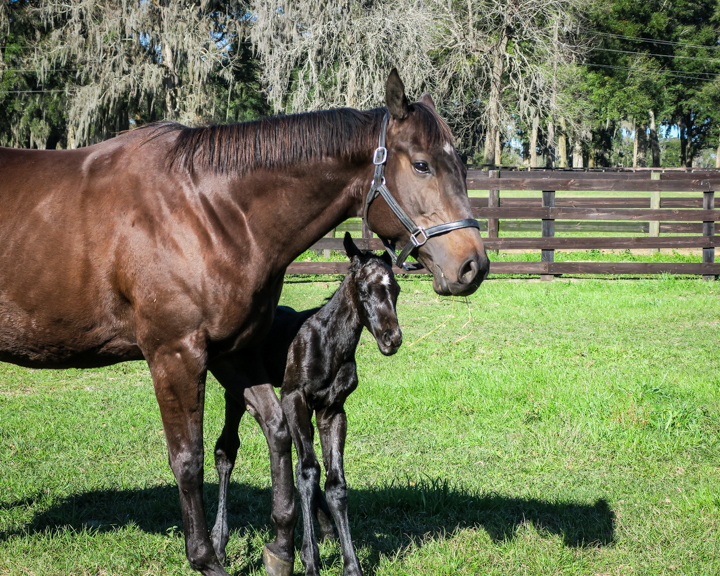 Since the birth occurred in an open field, the mare and her newborn were slowly walked to the barn for safety. Here the baby was given an enema to help pass meconium. The farm owner claims this helps boost a foal’s sucking reflex. I could soon hear him slurping this mother’s colostrum, the first milk rich in antibodies. Genaro continued to watch the pair carefully in the barn and let me briefly touch the colt. His coat felt softer than the finest silk or kidskin gloves I’ve ever worn, and as warm and wonderful as petting a puppy’s tummy. I couldn’t stop marveling at the miraculous morning event; one that will always be engraved in my heart and soul. The following morning, the mare and foal were walked to a small pen outdoors. They are returned to the barn every night. Within two days this colt was showing his strength, running and prancing around as if he had dreams of running in the Derby. He could not be more adorable. I will only be staying on the farm a short time as my six-month trip to Europe approaches. Please follow my adventures on www.bylandersea.com. All post will be archived under the heading ByLanderSea Abroad on the homepage.